Dubrovnik is situated in the south of Croatia. It is surrounded by three Elaphites, the islands Lopud, Lokrum and Kolocep nearby Trsteno and Orasac. It was founded in the 7th century, but due to the 17th century fire, today it has the baroque look. The whole city is under UNESCO protection, as if it were a big museum. 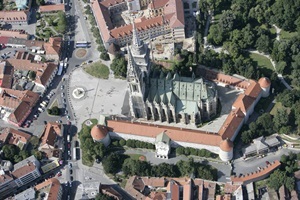 The most significant cultural monuments are definitely Rector's Palace, City Wall, Lovrijenac, Orlando's Column, Fort of St. John and many others. On Stradun you will find everything a tourist can dream of - from the shops and souvenir shops to numerous restaurants. At night, Stradun is one of the main destinations for night life and entertainment. Latino Club Fuego and Culture Club Revelin are also popular places to spend an evening at. There you will party till the early morning hours to the sounds of world famous DJs. The most famous events that you should attend are Dubrovnik Summer Games that take place from July 10th to August 25th and Dubrovnik International Film Festival where you will have the opportunity to meet world celebrities from movie and music business. 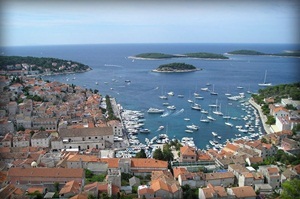 Apart from Starigrad and Jelsa, the biggest town on the island Hvar is the town Hvar. The famous website Lonley Planet has put it on the fifth place of the world top destinations for 2012. The town is rich with cultural heritage and numerous monuments. After Pag with the Zrce beach, it is one of the most popular places for young people to party. The must-see sights in Hvar are Fortress Fortica, Hvar Cathedral, Hvar Theatre, Franciscan Monastery and Benedictine Monastery. Hvar Riva and the square Trg Sv. Stjepana are rich with restaurants who offer varied gastronomy. They say that the town of Hvar never sleeps; therefore you will have a spectacular time in Carpe Diem, Veneranda, Hula Hula and Kiva Bar – reasons why many young people from the whole world come to Hvar during summer. In the close proximity of Rijeka, just an hour drive from the most famous Istrian towns Pula, Rovinj and Porec, there is Opatija, one of the shiniest pearls of the Adriatic. 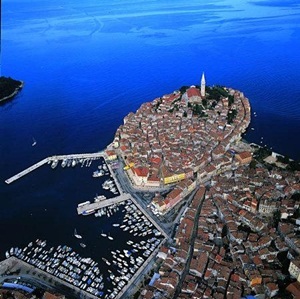 It is rich with cultural monuments, walkways and parks, and one of the most luxurious wellness destinations of Croatia. 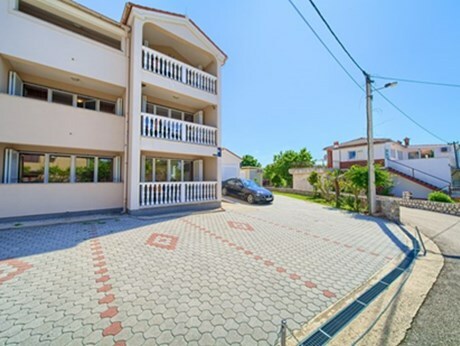 The must-see place is the Croatian Street of Fame, which is quite popular and, although it is not as popular as the Hollywood one, many local and world celebrities wish to have a star there. Also, there are Carmen Sylva Walk, Fortica and Queen Elisabeth Rock, the Museum of Tourism, Nature Park Ucka, parks Angiolina and St. Jakov and Arts Pavilion and Gallery ‘Juraj Sporer’. On the main Opatija Riva, you will find numerous exclusive restaurants whose atmosphere and cuisine will take you to some other glamorous world. The local taverns will delight you with their traditional local atmosphere. For the crazy night life in Opatija you should visit Hemingway, Disco Seven, Monokini and Lordu Byron. Pula is the biggest town of the Istria County whose area includes Barban, Liznjan and Vodnjan, and from where you can reach Brijuni in no time. The most famous is the Arena - it served as the main entertainment place of Ancient Romans. Today the Arena is the place where concerts, festival and other cultural events are held. Apart from the Arena, you should visit Augusto’s Temple, the arch Zlatna Vrata, Kastel, History Museum and Forum, the central square of the antique Pula. In Pula, as well as in the rest of Istria, there is a strong influence of Italian cuisine, which is the most obvious in the case of pasta specialties. You should definitely try local specialties, such as the stews ‘buzara’ and ‘brodet’, Istrian omelette called ‘fritaja’, and thick soups ‘manestre’. There are many bars and disco-clubs for crazy night life where you will have great time dancing to the hot summer beats until late in the night. The most famous party places are clubs Aruba, Bass and Cabahia and bars Night Club Pula, Podroom and of course, the Pula Arena. Zagreb, with its geographical position in the very centre of Croatia, enables you to be in Slavonia in a couple of hours and visit Osijek and Slavonski Brod. You can relax in one of the Spas, such as Varazdinske Spa, Tuheljske Spa and Spa Sveti Martin, or bathe in Rijeka in the Adriatic Sea. Apart from the fact that it has the best offer of night life, entertainment, recreation and cultural and theatrical performances, Zagreb is also rich with cultural and historical heritage, out of which the tower Lortscak, Kamenita Vrata, the church Crkva Sv. Marka, the squares Trg bana Jelacica and Trg kralja Tomislava, parks Maksimir and Lenuzzi Horseshoe. It is rich with places where you can enjoy arts; there are concert halls such as the famous Vatroslav Lisinski hall, museums such as the Mimara and the Museum of Modern Art, as well as the famous Croatian gallery Klovicevi Dvori. As in any other big city, shopping is obligatory. In Zagreb, every shopaholic must visit Avenue Mall, West Gate, Arena Centar and the street Ilica, the longest Zagreb street of all. Everyone has heard of Aquarius, Bugaloo and Saloon – these clubs are the most popular gathering places of people looking for good entertainment. When you get hungry after shopping or partying, Zagreb will delight you with its gastronomy offer in restaurants that you can find wherever you go. 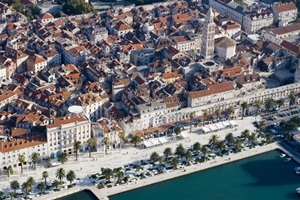 Split, the second largest city of Croatia, is situated at the foot of Marijan near Trogir and Omis. 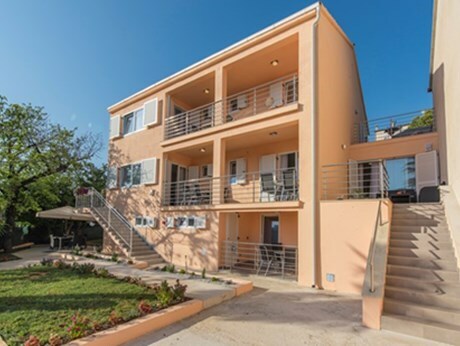 This urban centre of Dalmatia is ideal for those who want to spend their vacation partying until late into the night. The most famous sights are Split Diocletian palace which is under UNESCO protection, cathedral Katedrala Sv.Dujma, the statue of Gregory of Nin, the Temple of Jupiter and Prokurative. 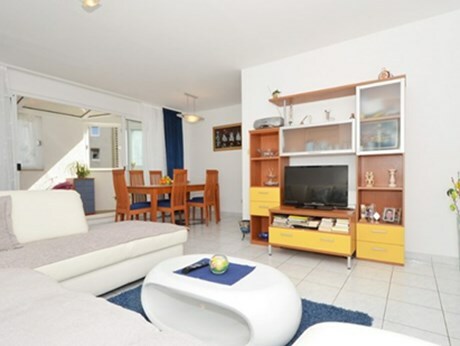 Given the fact that Split is the Dalmatia urban centre, you will have unlimited shopping opportunities, the whole city is full of shops and shopping centres. Even gourmets will not go hungry in Split. In the city centre, near the Diocletian palace, there are several quality restaurants that will offer both specialties of authentic Dalmatian cuisine and international specialties. Those looking for night life and entertainment until the early morning hours will find it in many bars and clubs, the most famous being: Metropolis, Kocka, O Hara, and Hemingvej, where you will enjoy the music of local and foreign artists. 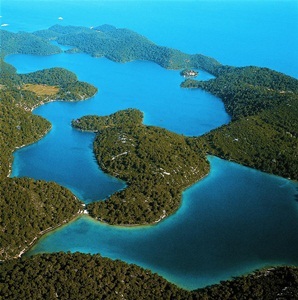 The birthplace of Marco Polo is located near the peninsula Peljesac, near the island of Mljet. In addition to Marco Polo, Korcula is well known for its world-award-winning wines. 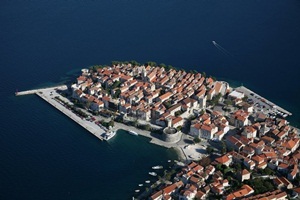 When visiting Korcula you should see its centre, which should soon be placed under UNESCO protection. There is the birthplace of Marco Polo, which was converted into a museum, along with the multitude of galleries. The cathedral Katedrala Sv. Marka is interesting and it dominates the old town. Do not miss the look of Moreska, a traditional sword dance that used to be performed from Spain to Dubrovnik. 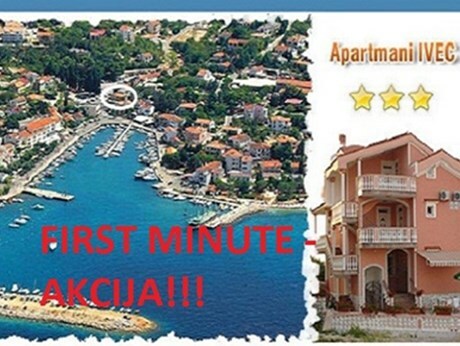 It has been kept to date only in Korcula. If you plan a night out in Korcula, to have a bite or to enjoy some late-night entertainment, visit the main square Forteca dominated by a fort that the British built in 1813. Also, to make your holiday in Korcula more interesting, visit Borak, the walk with no car access and a multitude of cafes, bars and restaurants. The island of Mljet is situated in the vicinity of Dubrovnik, Peljesac and Korcula. Because of its natural beauty and crystal clear sea, the north-western part of the island was declared a national park. Somewhat unusual names of places on the island of Mljet, such as Okuklje, Prozura, Sobra, Rop, Babina Kuca, hide the beauty of coniferous forests, crystal clear sea and beautiful beaches that everyone likes to visit. Besides the National Park, other places that are definitely worth visiting are the island of St. Mary with the Dominican Monastery of Romanesque, Renaissance and Baroque arrangement, the sandy beaches Saplunara and Blace, Ancient palace, Ulysses Cave, and Big and Little Lake. You can try rich gastronomy offer in many restaurants and taverns. Make sure to try eel, one of the most popular specialties of Mljet. Due to the lack of night-clubs and bars that would be open late into the night, Mljet is an ideal choice for those who want to spend a quiet holiday, enjoying the natural beauty. 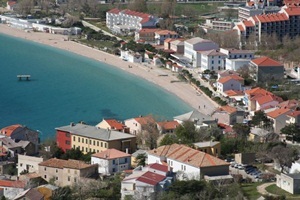 Baska on the island of Krk has become the most famous for the church of St. Lucy in Jurandvor. It is the place where Baska Tablet, the oldest written Glagolitic monument that mentions the word Croat, was found. Besides Jurandvor, make sure to visit the ethno house in Funtana, Mrgare, Heritage Museum Baska and Baska Glagolitic Path. In Baska experience the event called "Baska wedding" during which you will be able to participate in traditional "wedding," from the proposal to the end of celebration. A popular day is the fishing day held in early August. 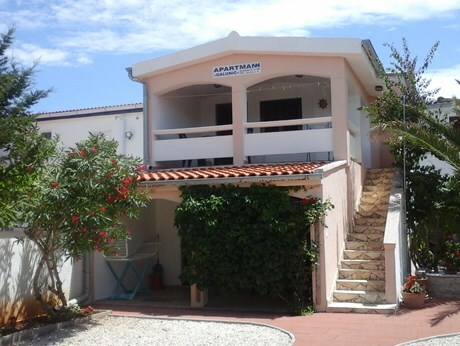 Here you have the opportunity to try the fabulous seafood, and other specialties that will be prepared just for by the kind hosts. 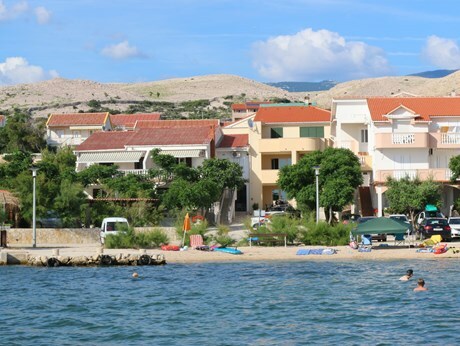 Baska was also the first public beach on the island of Krk, and thus has many beautiful beaches such as the famous Vela Plaza beach which is also the holder of the Blue Flag. Although there are many cafes and restaurants, Baska does not have many possibilities for a night out. Instead, only 15 km away there are Punat and Krk – the popular places to party until the early morning hours. 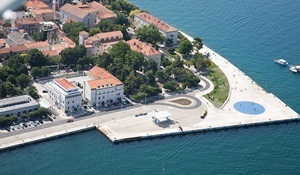 Just a few hours’ drive from Zagreb and Rijeka, Zadar is, next to Split, the most urban place of Dalmatia. 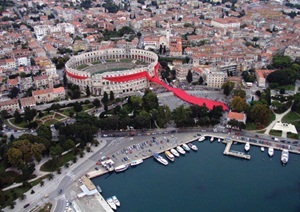 If we are to believe the London Times and the Guardian newspaper, Zadar is the centre of entertainment on the Adriatic. It features many events such as: Musical Evenings in St. Donat, The Garden Festival, Nights of the Full Moon, Milennium Jump and many others. In addition to theatrical and cultural events, the city abounds in rich cultural heritage, the most famous being the City Walls, Park of the Queen Jelena Madijevka, the Church of St. Anastasia, which houses the romantic legend of a Roman patrician, and 597 others. Among modern monuments, it is certainly important to mention the marine organ, the first of its kind in the world, and the world-famous installation of Sun Salutation. In addition, the Zadar archipelago abounds in natural beauty such as Nature Park North Velebit, Lake Vransko jezero, Telascica and National Parks Kornati, Velebit, Plitvice, Krka and Paklenica.